St Peter’s Garden group was formed in 2008, to provide gardening activities for the parish of St Peter’s Church, residents, children and vulnerable people in the community. In 2008, the area around St Peter’s Church was completely overgrown. After deciding that the area should be turned into a community garden, volunteers set about removing a vast amount of litter and debris from the area. The garden is now designed as a series of interconnected rooms. 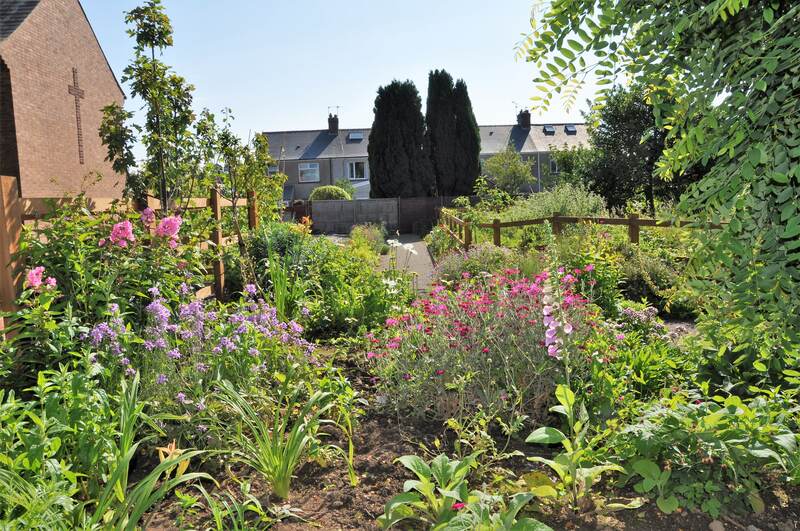 It features a meadow with Welsh heritage fruit trees, raised beds for fruits, vegetables and herbs, a quiet garden with a rose arch, a patio lawn for groups and families and a pond complete with its own ecosystem. They have recently installed a new greenhouse and acquired two bee hives. It is often referred to as ‘the secret garden’ due to its sheltered location. 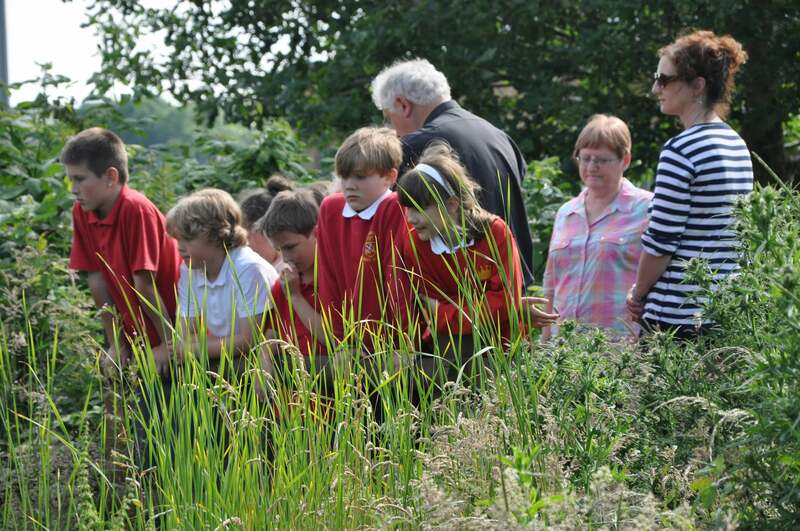 The garden is used by many people, including children and families who attend monthly family gardening days. 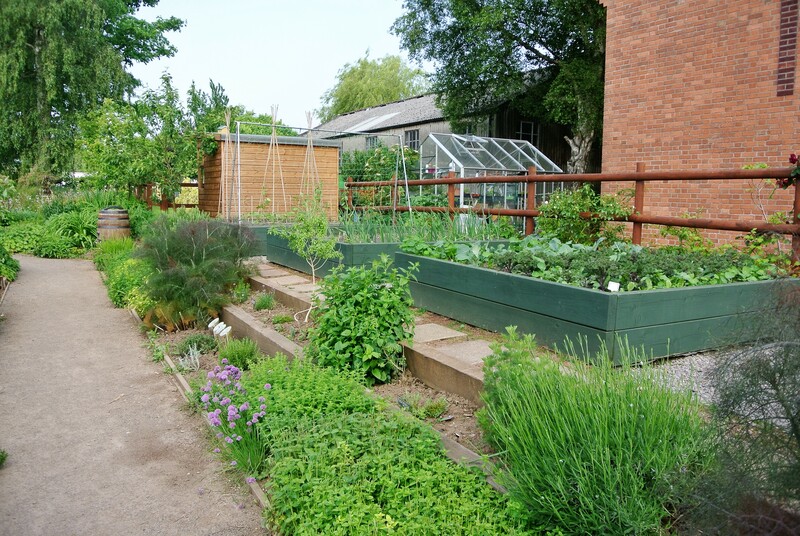 The garden is also used by the local Head Injuries Unit from the nearby hospital, with carers taking their patients to the garden as part of their therapy. The group also welcomes vulnerable adults who come with their carers to work alongside volunteers. 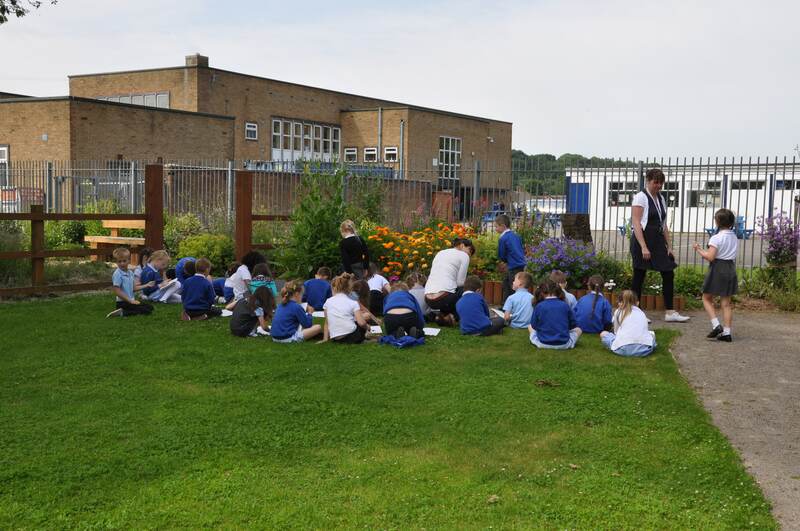 The group also works closely with a nearby primary school, enabling the children to learn a great deal about gardening and wildlife. People with mental health issues and other problems use the garden as a way of tackling their problems in a productive manner.